China's outbound tourism market saw healthy growth in 2018 as mainland travelers registered 149.72 million outbound visits last year, up 14.7 percent from the previous year, according to the Ministry of Culture and Tourism. The ministry described the outbound tourism market as "growing at a steady pace". On the homefront, the domestic tourism market recorded 5.5 billion visits last year, up 10.8 percent year-on-year, the ministry said. Meanwhile, the Chinese mainland received 141 million inbound visits, increasing by 1.2 percent year-on-year, with Myanmar, Vietnam and South Korea as the top three sources of visitors. In total, the country's tourism industry grossed a revenue of 5.97 trillion yuan ($880 billion) last year, and preliminary estimates showed the sector contributed 11.04 percent to China's GDP in 2018, according to the ministry. Tourism, especially outbound tourism, has become more and more popular among Chinese residents who increasingly emphasize high quality services and better shopping experiences, industry observers said. According to the China Tourism Academy, Chinese travelers spent some $120 billion in 2018 on tour packages, tickets, hotel reservations and shopping, with no comparative figure provided. China CYTS Tours Holding Co, a travel service provider headquartered in Beijing that helped process 1 million travel documents for mainland travelers in 2018, said its data showed Taiwan, Thailand, Malaysia, Singapore and Vietnam were the five most visited outbound destinations on its platform. Ctrip, an online travel agency in Shanghai, said that Hong Kong occupies the top slot on mainland travelers' wish lists for outbound travel and shopping on its platform. The administrative region welcomed nearly 46 million visits made by mainland travelers by the end of November, up 14.2 percent year-on-year, rebounding from slowdowns that began 2015. The opening of the Hong Kong-Zhuhai-Macao Bridge in October helped spur travel, according to the Hong Kong Tourism Board. Also, destinations such as Thailand, Japan and Africa were hot destinations for Chinese travelers, especially after some countries issued preferential policies last year. For example, about 20 nations－including Mauritius, Morocco and Tunisia－now offer visa waivers or landing visas as perks to Chinese travelers. As for travel packages, group tours remain the most popular products among Chinese travelers, according to Zou Qingling, outbound tourism director with Lvmama, another online travel agency in Shanghai. "They take language and customs issues into consideration in cultivating destinations," she said. "They are especially popular among seniors, and nearly 90 percent of our elderly customers choose to travel in groups. Far-off destinations such as the United States and Africa usually rely on tour groups." 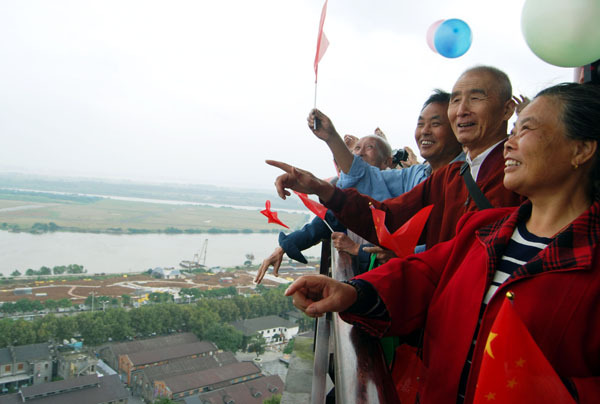 It's estimated that by the end of 2020, the number of middle class families in China will reach over 200 million, and they are expected to spend 19 percent of their yearly salary on outbound travel, the China Tourism Academy cited the World Bank as saying. The academy said that China's tourism market is expected to enjoy healthy prospects in 2019. Outbound visits are forecast to climb 11 percent this year to over 166 million, while inbound tourism will see about 143 million visits, up about 1 percent. China's outbound tourism market saw healthy growth in 2018 as mainland travelers registered 149.72 million outbound visits last year.